The Cross River State Government has signed an agreement with an Israeli company, Broad Spectrum Industries Services (BSIS), offering to finance the execution of some projects in the state. The Governor Ben Ayade – led administration concluded plans with the Israeli firm of over 30 years of experience in project financing, to embark on the projects which include a state-owned Seaport, a 240km super highway from Calabar to Obudu and the construction of a Cement/Mining Corporation. 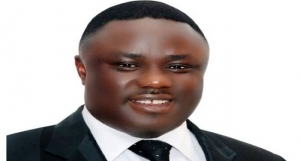 The agreement was sealed at the Cross River State Governor’s office in Calabar, the state capital, South-south Nigeria, on Thursday during a visit by a team of investors from the company. The firm, through its Chief Executive Officer (CEO), Mr Michael Le Harve, made a formal request to Governor Ayade, offering to finance the projects themselves with a sum of 500 million Euro. Mr Le Harve also made a presentation to the State Governor that the document had granted his firm mandate to fund the projects with a minimal financial involvement from the state. Overwhelmed by the offer which according to the Governor Ayade, was not a loan or a debt to be paid back, he grabbed the offer and gave the approval for commencement of work at the sites. Governor Ayade then called on the people of Cross River State to give their total support to the firm in ensuring that the best was achieved for the state.